Hen and Stag Sligo exclusively rent circa 300 apartments located both in the town centre and just a 5 minute walk away from town. 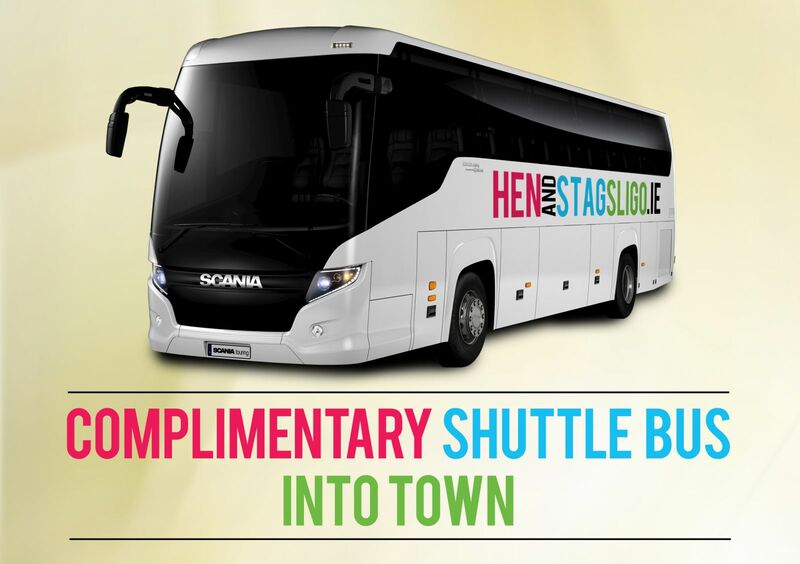 For those who find a 5-minute walk too much - there is a Complementary Hen & Stag Sligo shuttle bus service into town for those the Hen and Stag apartments running every 15 minutes from 5.30 - 6.00pm. Each apartment has kitchen facilities and living area. There is very high demand for the self-catering apartments and we advise early booking.